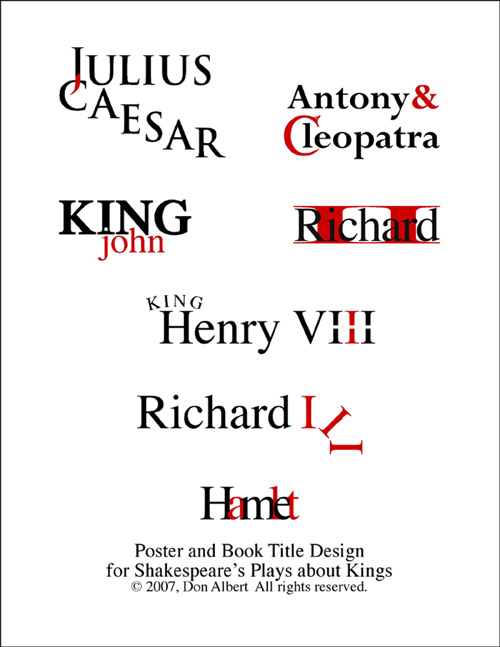 Here are some typographic designs of various book and play titles. These designs would serve as the conceptual basis for book covers, playbills, posters and such. Depending on the purpose and the media illustration could be added or the basic design expanded. Starting with the Bard, presented for your entertainment is a collection of titles for Shakepseare's plays. 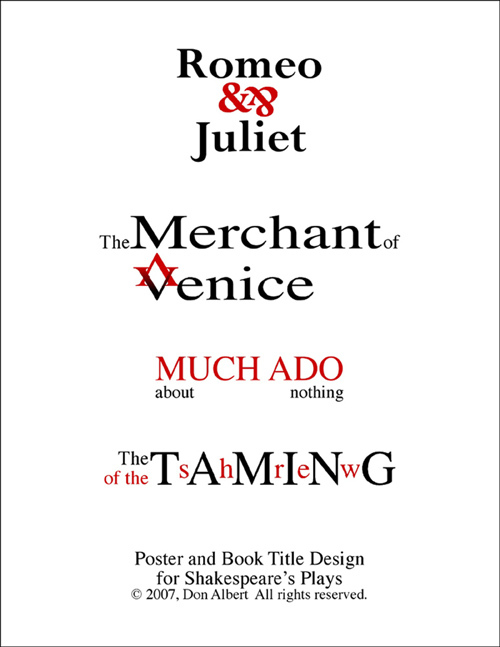 The intent here is to portray a central aspect of the play with a minimum of graphic devices, using only letter arrangement and two colors. Some knowledge of Shakespeare and English history may be needed to catch some of the more subtle graphic allusions. These designs are as yet unpublished and are thus for sale. Click on the Gold Button to go to the Portfolio Page. Click on the Rust Button to go to the Home Page. Don Albert Graphic Arts, © 2006.